"Where Angels Fear to Tread" Revisited : Reform worship. 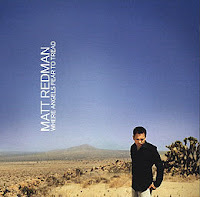 One of my favorite Matt Redman albums is Where Angels Fear to Tread. It came to me at a very formative time of my life (age 22, college years, personal reformation). I was immediately drawn to several songs on the album. Most worship albums have zero or one song I can use in leading worship. Of the eleven tracks on this album, I have led seven in corporate worship, the best of which include "Blessed Be Your Name," "Making Melody," "Wonderful Maker," and "Lord, Let Your Glory Fall." This song is not as much a worship song as it is a song about worship. The truth Redman declares in these words is that he cannot possibly worship God without what Christ did for him. He is saying it is absurd to think he can approach God apart from the cleansing blood of Jesus. He knows that without Christ, God's holy wrath burns against him. But in addition to the terror of God's holiness, it becomes beautiful to the one who has received His mercy and forgiveness. This is a song about rightstanding before God through the sacrifice of Christ our Mediator. This is what I call a "gospel" song, or a "Christ-centered" song. I would also classify this as one of Redman's "teaching" songs. His next album, Facedown, has more songs of the like. It was almost as if at a certain point in Redman's life he was learning tons about God and worship and simply couldn't get it off his mind, so he ended up filling his songs with these theological truths. We already talked about one of these songs in this blog, "Breathing the Breath." Another "teaching" song from Facedown is "Gifted Response," an amazing song about Trinitarian worship. I highly recommend all of Redman's "teaching" songs and all of his albums for that matter.